Ethereum has become a popular cryptocurrency alternative to Bitcoin over the last year. However, unlike Bitcoin and rival currency Litecoin, Ethereum has been adopted by many companies and startups as a way to transact (and more). In the cryptocurrency wars, I like to view Ethereum like the diamond of the currencies - it has both a intrinsic value and an industrial value.​ Compare this to Bitcoin, which operates like gold - not much industrial value, but people buy it and sell it based on it's intrinsic value to the holder. Given the popularity of Ethereum, many people are curious about what it actually is, how it's different than Bitcoin, and how to invest in it. It's also important to note the risks of investing, and the potential to mine it and create your own wealth of Ether (the actual monetary unit of Ethereum). Before we dive in, it's important to note that to look at, use, and transact in Ethereum, you need a digital wallet. We recommend Coinbase because it's free, has a great app, and they give you a bonus for depositing $100.​ Check it out. Ethereum is basically software that is decentralized and allows ​developers and programmers to run the code of any application. Wait, what? I thought Ethereum was money... well it has a monetary aspect. You see, Bitcoin uses a technology called blockchain specifically for conducting monetary transaction - it's a straight currency. Ethereum uses blockchain technology to allow the creation of applications that can be executed in the cloud, can be protected from manipulation, and much more (some stuff getting too technical for me here). However, a bi-product ​of this is that Ethereum uses a token called Ether, which is like Bitcoin, to transact. This is the monetary value portion of Ethereum. Because of its unique abilities, Ethereum has attracted all types of attention - from finance, to real estate, to investors, software developers, hardware manufacturers, and more. Ripple is similar to Ethereum in that it's token XRP is also able to conduct real transactions. 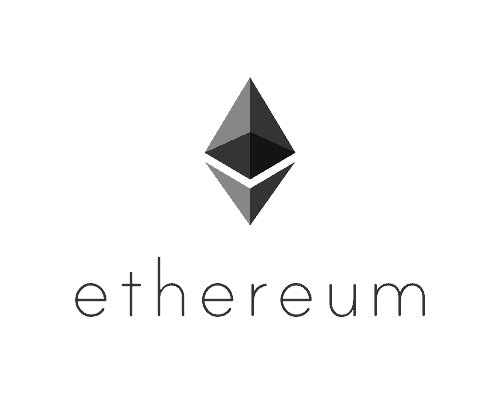 Ethereum, on the other hand, was designed to facilitate software​ processing using a token system called Ether. That Ether has become more valuable as a result of people becoming interested in the technology. That Ether is what people want to invest in. 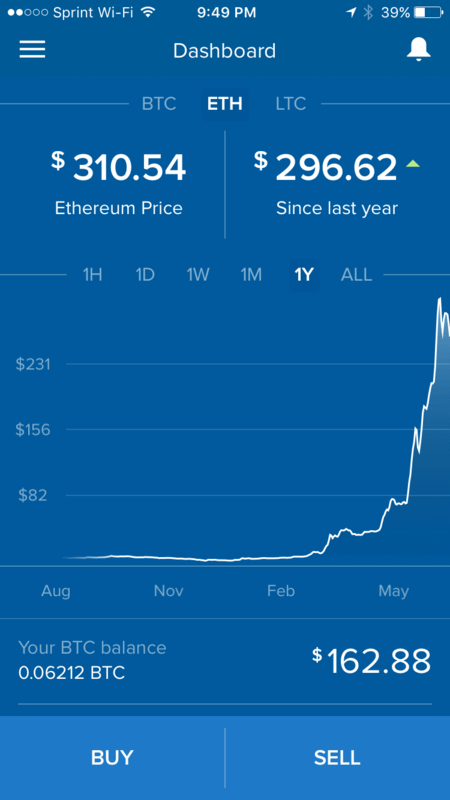 Finally, Ethereum is much cheaper than Bitcoin. Bitcoin currently trades for over $2,600 per unit, while Ether trades at just $318. If you're interested in investing in Ethereum, and specifically Ether, you need a digital wallet. Ethereum doesn't trade on any major stock platform. You can't go to your online discount broker and buy Ethereum. You have to convert it into your wallet. If you're not sure about using a digital wallet, and want to invest via an ETF, you can't do it yet. However, there is a Bitcoin ETF - GBTC, and you can invest in it for as little as $5 on Stockpile. We'll give you $5 for free when you sign up for Stockpile through this link. Investing in Ethereum is risky, but it could potentially be lucrative. Unlike Bitcoin or Litecoin, companies are really using Ethereum as a building block - something more akin to diamonds than gold. As an investor, this is a potential win. Furthermore, there can be splits (i.e. hard forks) on Ethereum like we recently saw with Bitcoin and Bitcoin Cash. This can be a good thing or bad thing. People who've invested in Bitcoin Cash are happy about the split because they made great money for no effort. With all the hype about bitcoin in recent weeks I appreciate this run down about ether and Litecoin as well. It’s a risky proposition but if one wants to roll the dice and just hold for a while I guess it could pan out. I question the hundreds of alt coins that exist. It seems like every day there are new crypto-currencies coming out and deciding where to invest is tricky. It is definitely risky – but Bitcoin, Litecoin, and Ether are the three biggest. I think Ethereum has the most long term potential because of all the other activity going on with it. Actually Ripple is #3 with Litecoin at #4. I would like to buy 3 Ether coins. Is that small of a transaction possible? Yes, you can even buy partial tokens. Great article, thanks! So if Ether is worth $318 today and a year from now it’s $3,180, I can just sell if for that amount? Also, do I have to pay a commission to buy and sell Ether? And do you know if I can do it through Scottrade? Yes, you can exchange it – remember, it’s currency, not an investment. So, if you exchange $100 for $318 of Ether, hopefully you can exchange it back for $1000 in the future! But it’s risky. You can’t buy it on an broker – you need a service like Coinbase that acts as a digital wallet to store and exchange your Ether. Currently, Coinbase charges a 1.49% exchange fee to buy or withdraw. You can sign-up with GDAX, which is the Coinbase trading platform. Coins and cash can be moved to GDAX from Coinbase with no transaction fees. To avoid fees, deposit cash into Coinbase, then move the cash wallet to GDAX. Trades are free from there. A funny (and annoying) side effect of the popularity of Ethereum right now is that it’s disrupting the PC graphics card market. I perform the technical procurement and budget planning for an engineering facility, and we buy high-end gaming PC parts for research simulators. I started to wonder why suddenly graphics cards had price swings and why vendors were cracking down on order quantity. Turns out everyone is buying graphics cards like crazy for Ethereum mining. So just to confirm – if you buy ethereum, litecoin etc you’re only buying it and holding on to it in hope that when you convert it later on the price has gone up? just trying to get my head around it. however, with bitcoin you can use trading platforms e.g. usi-tech to earn daily with it… so ethereum you cant do that as yet? If you’re buying any of these (including Bitcoin), you’re only speculating on price. You can mine all of these – in which case you can potentially earn based on how much you mine. If i buy ethereum today as a buy and hold at let’s say 550 and the market goes down to 350 then I lost $200 right or I can hold onto my investment until it regains the value to 550. If I invest 100 dollars what would that look like under the same scenario? Would I just lose my 100 investment? You can hold onto it as long as you want. It might go down, it might go up. Can you recommend a reliable place to learn how to mine tokens? That’s really tough. There are a lot of good YouTube videos on the subject – what hardware to get, when it’s worthwhile, etc. I just bought some ethereum on coinbase and want to move it to a wallet on my iPhone. My question is, how does one track their progress with wallets on their phones or hardware wallets? Coinbase has a really nice dashboard that gives real time of the progress of bitcoin, litecoin and ethereum. You can only get a price quote on your phone if you use a cold wallet. If you only have a little invested, I would personally just leave it on Coinbase so you can sell as needed. Cold storage is really for long term, secure, high dollar amount storage. Ok thank you, and by sell as needed do you mean breaking even? So if bought 100 USD worth of ethereum , by the time it doubles i should sell 100 USD worth of it? I wonder what you think of the idea of investing in Ethereum (or Bitcoin) tracker funds like XBT Provider rather than buying Etheruem itself. It seems, from what I’ve read, to be a safer option. Would really value you thoughts. I think the risk is still very much there – it’s all based on price movements. It might be “easier” though from a buy/sell perspective. I loved this post I just recently bought ETH for around 800.00USd I remembered following bitcoin when it was first was being developed and on the market. I tried for months to purchase a single a bit coin when it was around 800/900USD no such luck, even tried mining, gave up, once the price hit 1,200USD it was beyond my funding and I have been kicking myself ever since. I found Ethereum at relatively the same price with a larger potential and did not give up until I was able to purchased some through coinbase and it seems to be following the same trend as bit coin:) Do not give up on the potential for information and the freedom of the internet! Hello, so, what is that I can buy with the coinbase app? Ethereum cryptocurrency or Eth stock exchange? I am interested more on stock exchange in the market. You buy the tokens. I’m not aware of any ETFs that mimic Ethereum on the stock market currently.